Vietnam has been accomplishing great achievements in developing the country’s economy and improving the local life. 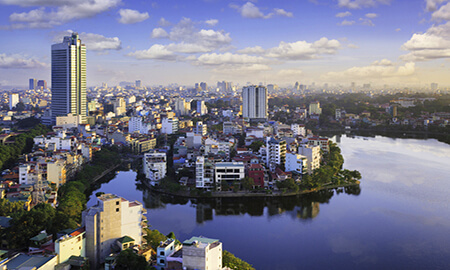 Foreign companies are starting their new branch in Ho Chi Minh City, the largest business center of the country. As a result, more expatriates are moving into this bustling city. The real estate market has also made great adjustments. Investors have constructed a large number of residential buildings with numerous apartments to adapt to the quick pace of the industrial growth. 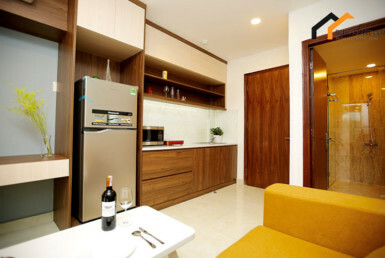 The serviced apartment is currently the popular form of accommodation for high-income workers. And to begin planning the living arrangements, everyone will need to work with an agency. RENTAPARTMENT is here to assist the clients. RENTAPARTMENT takes pride in providing trusting services for international tenants. 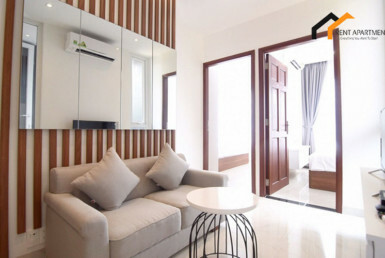 We make sure to find a serviced apartment for rent in Ho Chi Minh City that best suit the client requirements before arranging apartment visits, meetings between tenants and landlords to discuss the contract terms before reaching an agreement. Our professional consultants have a deep understanding of the tenant demands. We never stop seeking improvements to our services. 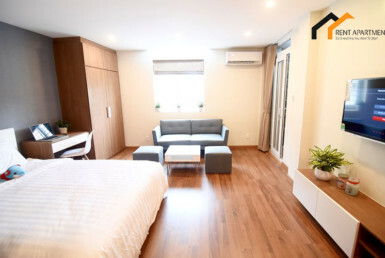 What are the differences between an individual apartment and a serviced apartment in Ho Chi Minh City? Serviced apartments can be considered as the upgraded version of individual apartments. 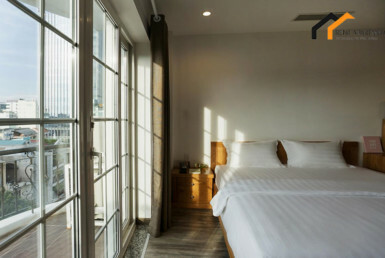 Serviced apartments are fully furnished, and they have bonus amenities: all utilities like parking, Internet, cleaning services are included in the monthly bill. While an individual apartment contract requires you to extend it for at least 12 months, the minimum period of time you can rent a serviced apartment is only 3 months. This is more flexible for your arrangements. 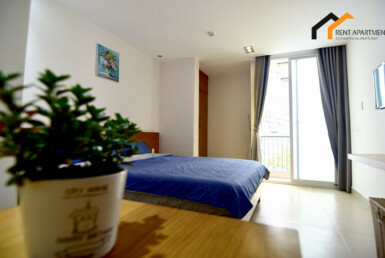 How many types of serviced apartment for rent in Ho Chi Minh City are there? What amenities can I have by renting the apartment? 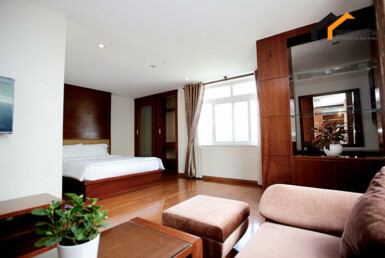 There are three types of serviced apartment in Ho Chi Minh City available for short-term or long-term stay. As the name suggested, hotel apartments are owned by the hotel landlord. This type of apartment is built within or next to the main hotel building. They are much more spacious than the average hotel room. The entire place is fully furnished. 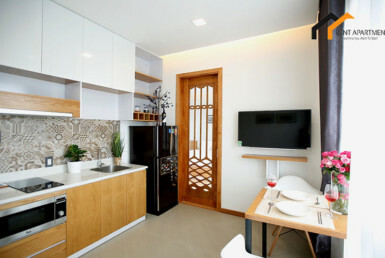 The kitchenettes equipped with domestic implements and laundry facilities are included as well. Tenants will have access to all the facilities depending on the hotel types: room service, gym centers, spas, restaurant, etc. The real estate providers manage individual apartment units that are well-organized in a separate block or a certain number of units in a residential building. The serviced apartment is the trendy type of accommodation that hospitality companies like. It brings the authentic experience of living like a local for tourists. 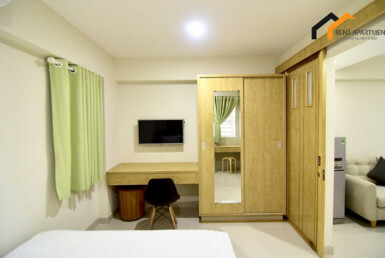 Moreover, the landlord allows short-term stays from 3 to 28 nights, which makes it a good arrangement for travelers who would like to move to Ho Chi Minh City but want to explore the city beforehand. Investors have combined high-class amenities for the tenants. The utilities and appliances have regular check-ups to make sure the domestic life is going well. The help will provide laundry and cleaning services following the schedule by the tenants. At the ground floor of the serviced apartment buildings, you can find the supermarket, gym, swimming pool, and other services. Some residential buildings even have a private amusement park.